Many people probably prefer kimono with symmetrical and straight lines or kimono that follow the standards befitting of a traditional attire. However, don't you think that kimono with frills under the collars as well as modern kimono that are paired with socks and high heels look just as gorgeous as traditional kimono? There are plenty of ways one can alter the look of a traditional kimono. Matching patterns with colors, choosing a sash ornament that matches the collar or wearing the kimono as it is. As an attire that allows the wearer to be creative, kimono is indeed an outfit that challenges those who like to put different things together! 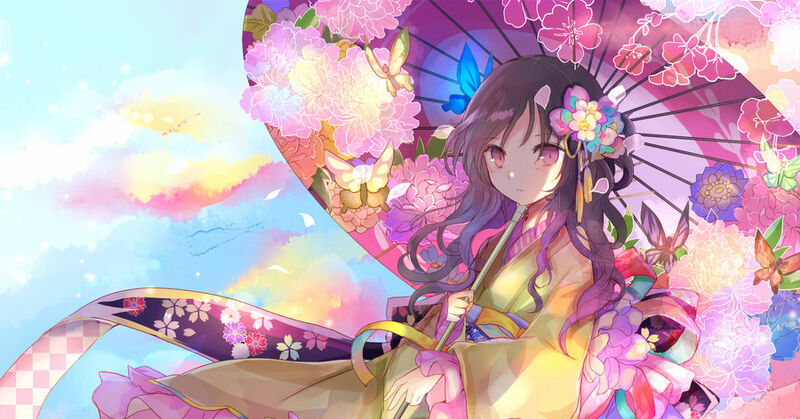 Today we are featuring illustrations of cute and unique kimono that will make you want to create your own version. Enjoy!